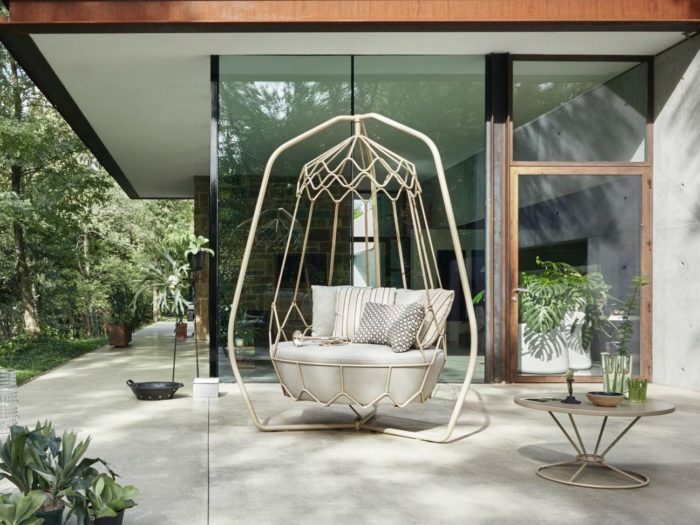 Hanging furniture has always been and will always be the most popular for any outdoor and sometimes indoor space because it brings relaxation and looks amazing. If you are looking for such a piece, we have it for you! 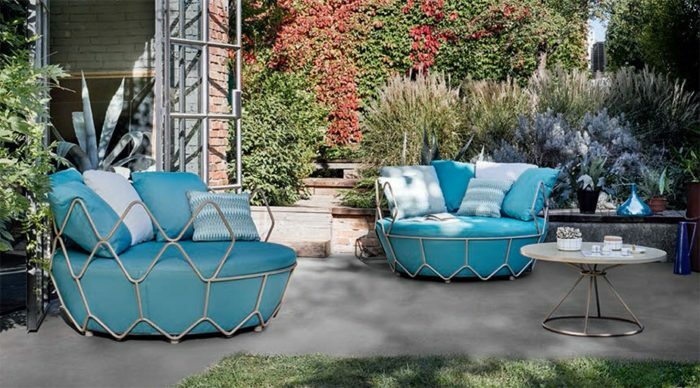 The Roberti Rattan outdoor swing sofa by Technical Emotions is elegant, charming, and inspired by gravity, nature shapes and water waves. It has a steel frame and a supporting frame, which allows for free positioning. 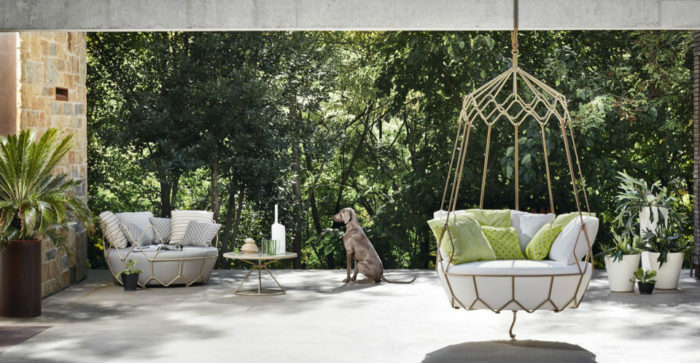 Only high-quality materials are used in the production process: the cushions from this collection have water repellent outdoor foam and are covered with the famous Sunbrella fabrics. Sunbrella is extremely resistant to moisture and color fading. 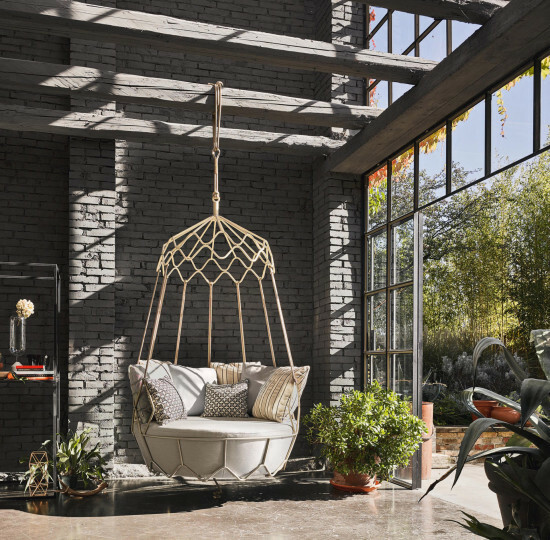 A variety of fabric choices are available, the company offers many variants with patterns and in different colors, so you can adapt the outdoor furniture to your interior. If you don’t want to suspend it, just place it on the ground. The sofa is suitable for two persons, holding up to 300 kgs, and is perfect for pleasant afternoons. The design is modern and brings a welcoming feeling, and it is sure to make your space spa-like.